I have had two or three in my time, and they hate doing it in the middle of the day. Garden photographers always prefer to hot-foot it to my door before dawn – or when sun, slanting over a sea of catmint and alliums, is definitely over the yard arm. The most dedicated was perhaps Jonathan Buckley. When he lived in Dulwich, for one whole summer and beyond he would swoop down to my Sussex garden in a battered old white Citroen. At one point we agreed that I would phone him at some ungodly hour to let him know if there was hoar frost on my agapanthus. I had to trek down the garden en chemise de nuit , a muddy fleece and gardening clogs in pitch dark to find out, of course. There was, and he was there like a shot, well before the crisply seed-heads thawed just after dawn. Jonathan’s use of wooden kebab sticks to prop plants into suitable positions (sorry Jonathan, no one’s secrets are safe with me) gave me the idea of using them as subtle aide-memoires in my borders, saving the lives of many a forgotten patch of lily bulbs and dormant dahlias. And of course I cannot mention Jonathan without also mentioning Alan Titchmarsh’s How To Garden book. JB was presented with a lists of subjects he needed to photograph for a chapter on weeds and, unfamiliar with most of them, asked me for help. I had every single one of them in my garden, in abundance, in all stages of growth, except sycamore saplings and knotweed, as I recall. 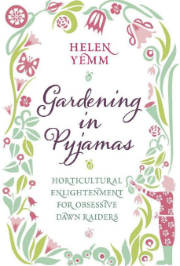 I subsequently appeared in the photographic credits of volume 1, I think, but gentlemanly Jonathan did not let on that the ‘help’ he received was all about my garden (in its early years, I hasten to say) being so helpfully, so totally… weed infested. Jonathan came to my new garden early last summer – the first real season of my new smaller village-house garden. 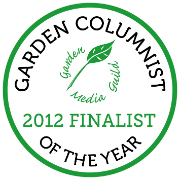 The results will be illustrating a piece I have written about how I dramatically downsized – for the July issue of The English Garden. 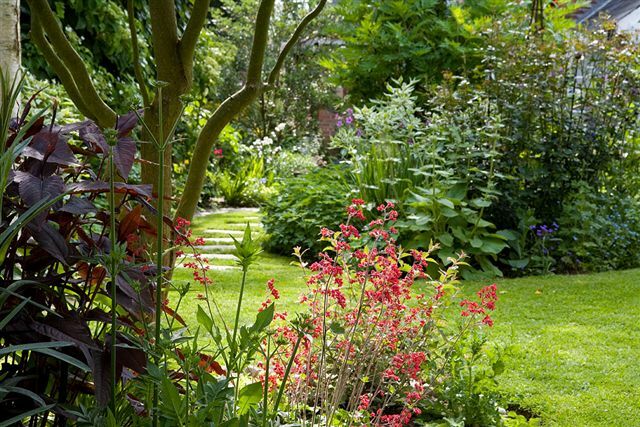 Verdicts on other garden phtographers I have known: Jerry Harpur is the scattiest – and wore a groove down my narrow little London garden (we are going back a bit now) because he kept forgetting his equipment. Marianne Majerus was the most disconcerting – she loved the arty decay of autumn, and having my messy garden ‘done’ by her was like being photographed on a bad hair day. The results were fabulously evocative, though. I know they get stick from some of us for creating impossible-to-emulate illusions with all their misty-moisty mouth-watering stuff, but I have to say that my brush with garden photographers and their art over the years has been extraordinarily fruitful and great fun. And I am sure they have lead me to see gardens – and ultimately plant them – with a totally different eye. All good stuff, and I am grateful. This entry was posted on Friday, June 6th, 2008 at 12:29 am and is filed under Eldenhurst, Musings. You can follow any responses to this entry through the RSS 2.0 feed. You can leave a response, or trackback from your own site. I saw Jonathan Buckley’s pix in The English Garden, and they were good, but actually, I really like yours (ie the Flickr thingy ones on your blog). The thing about the gardeners’ own pix is that, although a professional photographer sees the garden very objectively, the gardener will photograph what he or she thinks works; the things that have lived up to an initial vision or idea. And what works, and that sense of an idea or a plan that has been successfully realised, is what other gardeners are interested in. It would make an amusing feature for The English Garden to get a series of gardens shot by both a professional garden photographer and the garden owner. It would be fascinating to see if they chose the same views, or plants. I feel terribly hampered by the fact that my camera is a really small clunky prehistoric digital thing and I am only just getting the hang of ihow to get good stuff out of it – after four years or more. Also, I don’t even have a tripod – although I will get one soon because clearly it will make a big difference.